Mooloolaba, Queensland, March 25, 2012: South Australia’s Ella Holmes has all but secured a place in the Australian team to compete in the triathlon World Championships in New Zealand later this year after a solid performance in the 2012 Australian Age Group Olympic Distance Championships held today in Mooloolaba, Queensland. The event was also the 6th leg of the National qualifying series and attracted some 9000 competitors across the weekend. In threatening conditions, Holmes took out 4th place in the very competitive 20-24 age group category. Holmes exited the 1.5km surf swim in sixth position, less than a minute behind eventual race winner Courtney Dutton of Queensland. By the completion of the 40km out-and-back bike leg, Holmes had moved up into 5th place, but had conceded time to former U19 Australian team member, Dutton, before beginning the chase during the 10km two-lap run. Dutton defended her lead well, and although Holmes was able to reduce the gap, it wasn’t enough and Dutton went on to win in a time of 2:14:10, with Holmes finishing in 2:16:32. The first five athletes all finished within three minutes of winner Dutton. Holmes said she was happy with her swim performance, and felt strong throughout the bike leg. She said "although her run time wasn’t as quick as we had planned, we learnt a lot about racing this course, and we can factor that into our planning for next year’s race" she said, "so we can certainly take a lot of positives from this event". This was Holmes first time at the Mooloolaba event. Coach Steve O’Brien said that Ella’s performance was solid. "This event was a focus for us so it’s good to be able to walk away with good points from this race", he said. "Ella sets a very high standard for herself. There are areas where we know we can improve and we will address those during our preparation for the World Championships in October ". 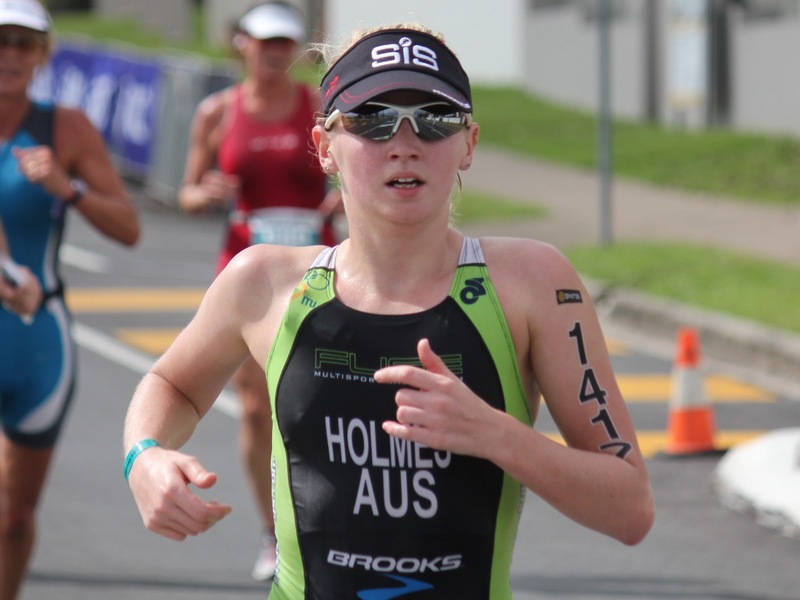 Holmes now prepares for the Luke Harrop Memorial triathlon in Queensland in April, where she will compete in the Open category in her last race of the season before taking a short break from training. 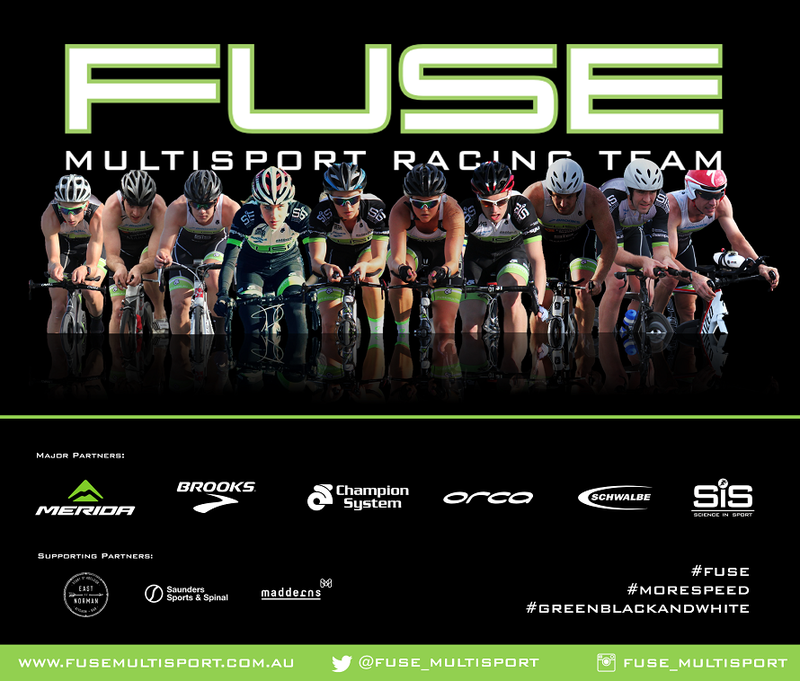 She'll then begin preparation for the World Championships with fellow Fuse Multisport Racing Team athletes Sam Tebeck and Ben Tripodi - who also look likely to make the Australian team. "It's going to be pretty intense over Winter", Holmes said.